Krystyna Piotrowska Freiburger had an astounding childhood. Despite her staunchly Polish first name, she was born in the small Buckinghamshire village of Chalfont St Giles. More unusually, she spent her childhood in Hodgemoor Woods amid a makeshift camp against the backdrop of a war-weary Europe. Camps like hers sprung up across the country after the Second World War to accommodate thousands of displaced Polish families. A number had escaped the Nazi concentration camps, but the majority came from the gulags of Siberia. Poles were sent to these desolate prisons after the Soviets invaded the eastern part of the country. Nazis had invaded the western part days before. Two of Krystyna’s brothers died in Siberia. Her parents left when the Soviets granted Poles ‘amnesty’ in 1941. Her father went to fight in Persia, now Iran, while her eldest brother and mother were sent to Northern Rhodesia, now Zambia. Her family reunited immediately after the war in Buckinghamshire, where empty barracks formerly used by Canadian and American forces across the countryside served as temporary housing. The county had camps in Iver, Beaconsfield and Great Missenden to name a few sites. 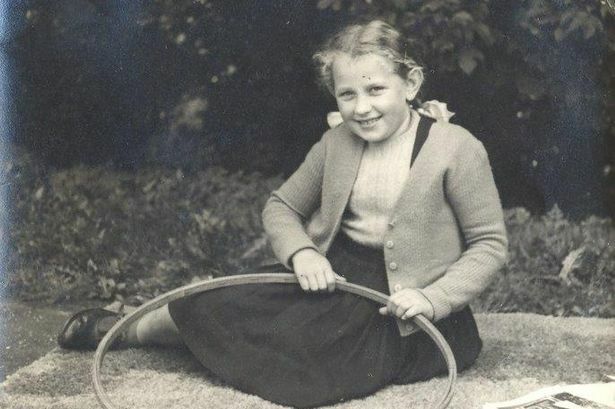 But Krystyna, who was born on March 22, 1949, grew up with other exiles in the woods of Chalfont St Giles. “My vivid memories of Hodgemoor are nothing but filled with joy,” said Krystyna. “I remember the happy days I spent playing in our yard which had a large garden, chickens, geese, rabbits and a cat. Life was more of a struggle for the adults, says Zosia Biegus, 71, who also lived in a camp and co-authored the book Polish Resettlement Camps in England and Wales. They had to learn a new language, look for work and try to keep their culture alive. Many half hoped the west would recognise how “evil” the Soviets were, says Zosia, and begin a third world war which would pave the way home for the Poles. However, hopes were dashed when the Soviets brutally put down the Hungarian Revolution of 1956. Back in Hodgemoor, a young Krystyna explored her surroundings. “During the week I went to school in the village. A little van from our camp drove us there and back every day. “As a child, I thought Chalfont St Giles was pretty and exotic. “People here spoke another language and lived in different homes to the barracks we had. “School was hard until I learned English. We were served lunch with food I was not familiar with. Richard Tramp, 64, of Oldfield Close, Little Chalfont, lived in the camp for 10 years and played with Krystyna when they were children. His family history is equally as dramatic, encompassing gulags and battles in the Middle East. Richard recollects Poland international football players living at the camp and clubs such as Arsenal and Fulham visiting for a game. His family were then moved to Popes Close, in Amersham, when the camp closed. His mother, 92-year-old Genowefa Tramp, still lives in that same house while Richard moved out, started a roofing business and became chairman of the Amersham Polish Club. Hodgemoor, now popular with walkers and horse riders, once had its own chapels, community hall, store and bar. A small monument is the only giveaway to the abandoned commune. Krystyna reflected: “Together as a community, we continued to keep our language, our traditions and culture. The camp was closed in 1958 while the final camps in the country were closed in the late 60s. Young children who had never set foot on their homeland continued life in their adopted country. Mother-of-four and grandmother-of-five Krystyna now lives in Canada after her father found work there.